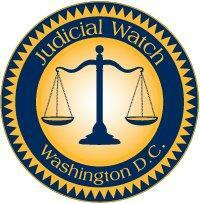 WASHINGTON, Aug. 8, 2018 /Christian Newswire/ -- Judicial Watch today announced that the U.S. District Court for the Southern District of Ohio (Western Division) issued an order granting a Judicial Watch motion to file an amicus curiae brief that asks the court to unseal the depositions of former IRS officials Lois Lerner and Holly Paz. The court also granted a hearing to be held Thursday, August 9, at 1 pm ET. Both Lerner and Paz played key roles in the targeting of conservative nonprofit groups opposed to Obama policies in the run up to the 2012 presidential election. Their depositions were sealed by a federal judge after Lerner's and Paz's lawyers claimed the two were receiving threats. Judicial Watch argues that the testimony transcripts sought may shed light on government misconduct, and the shielding of internal government deliberations does not serve the public's interest.